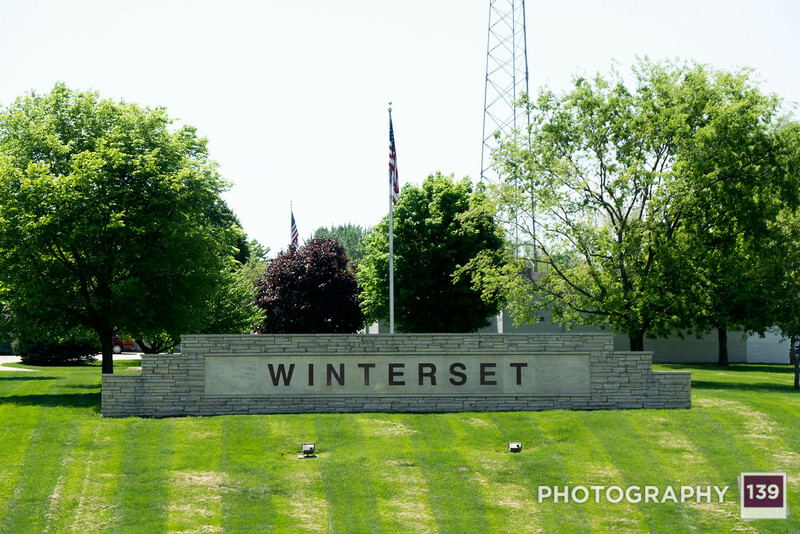 Way back on my birthday I decided to make a solo tenderloining trip to Winterset. Scottie D. had been ducking the Winterset trip for several months now and everybody else seemed to have to work on my birthday, so I figured, why not fly solo and take a few pictures for the TOWN SIGN PROJECT while I was on the open road? 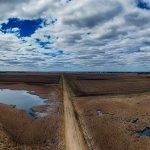 I headed down 17 and the went west on 141 for a little ways before pretty much taking 169 the rest of the way to Winterset. I have to confess that the signs I found on this route were almost universally boring. Almost. Madrid is know for caring way too much about high school sports AND The Filling Station. 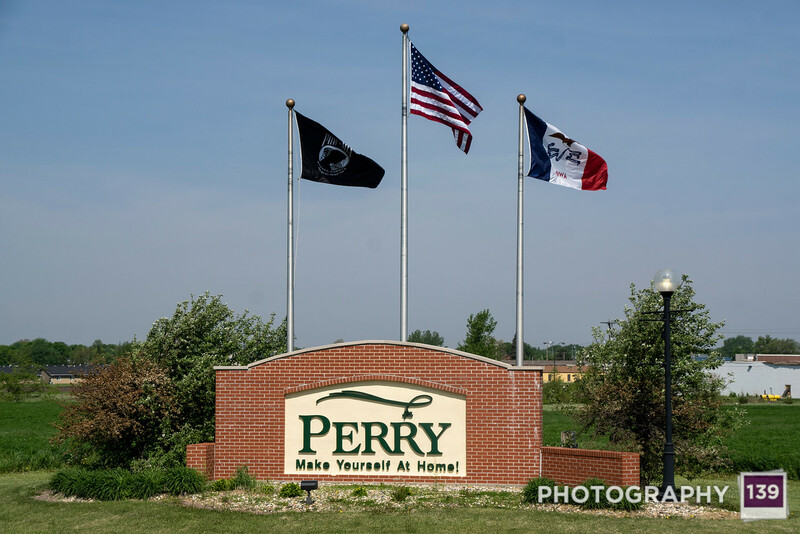 Perry is known for being a town that racist people like to badmouth. Minburn is known for having a pretty cool park bathroom. 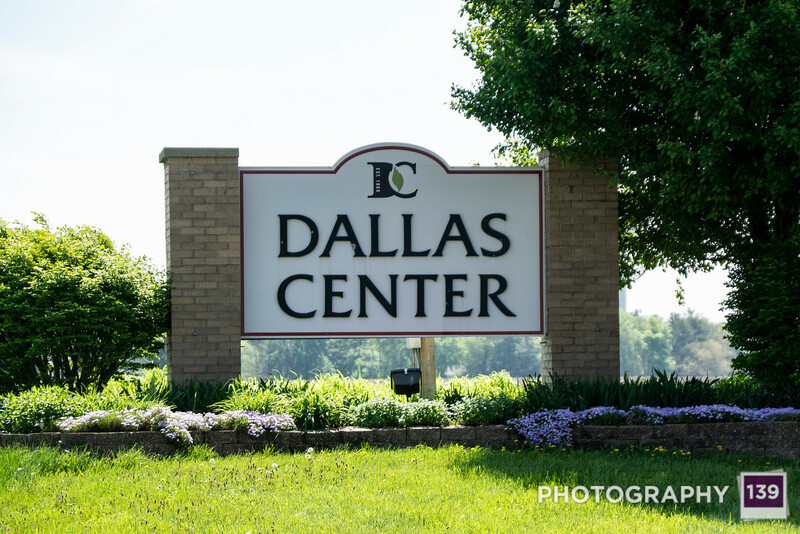 Dallas Center is known for being the DC of DCG. 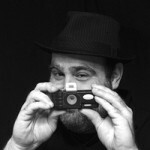 DCG is known for being the thing that Jason Baier hates the most in the world. 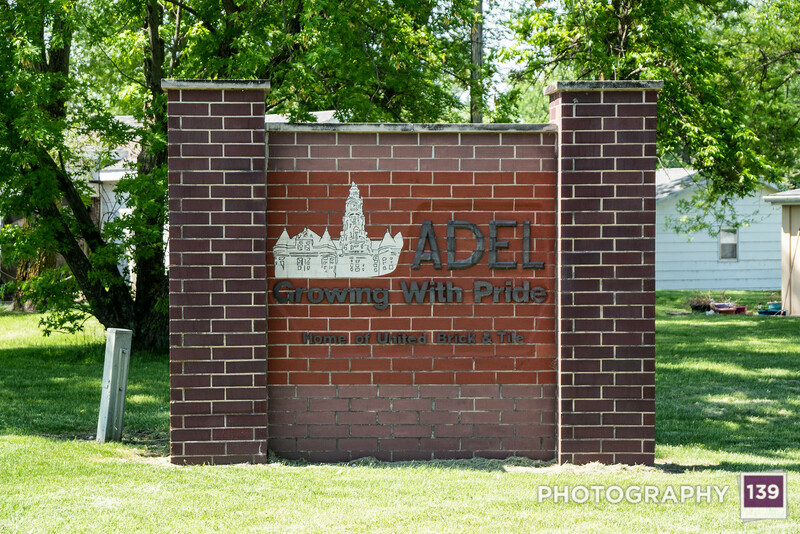 Adel is known for being the hometown of Nile Kinnick. 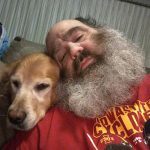 Kinnick is famous for being the last Iowa Hawkeye football player that that didn’t spend time in jail. 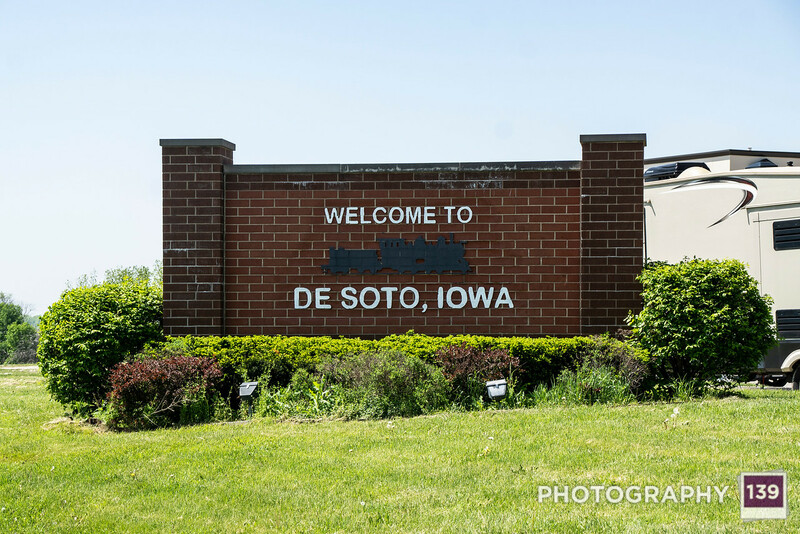 De Soto is known for being spelled Desoto. 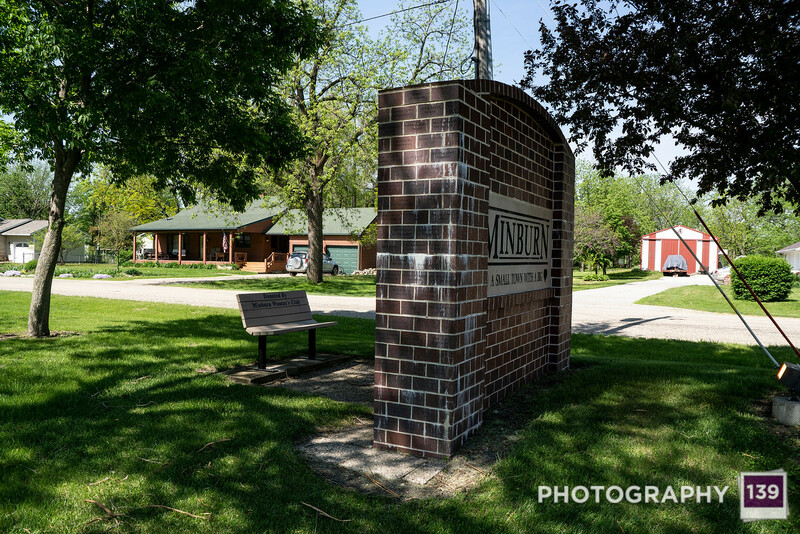 Winterset is known for being the birthplace of John Wayne and covered bridges. 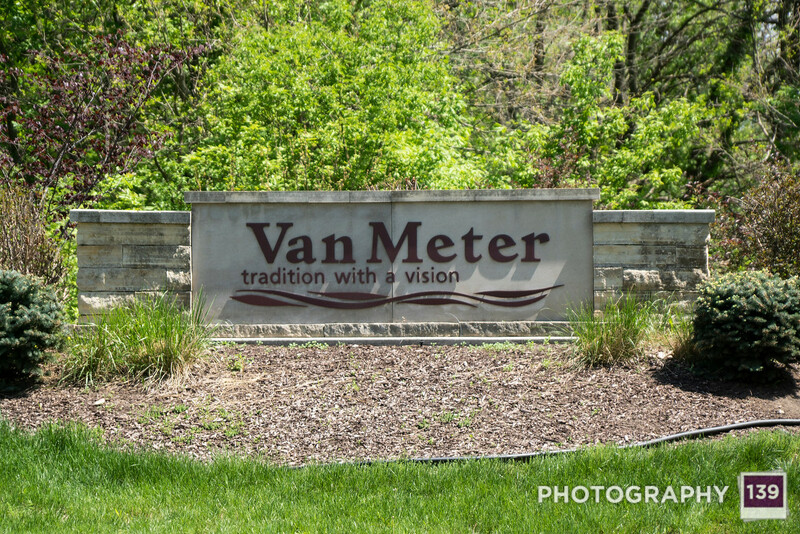 Van Meter is known for being the birthplace of baseball hall of famer Bob Feller. 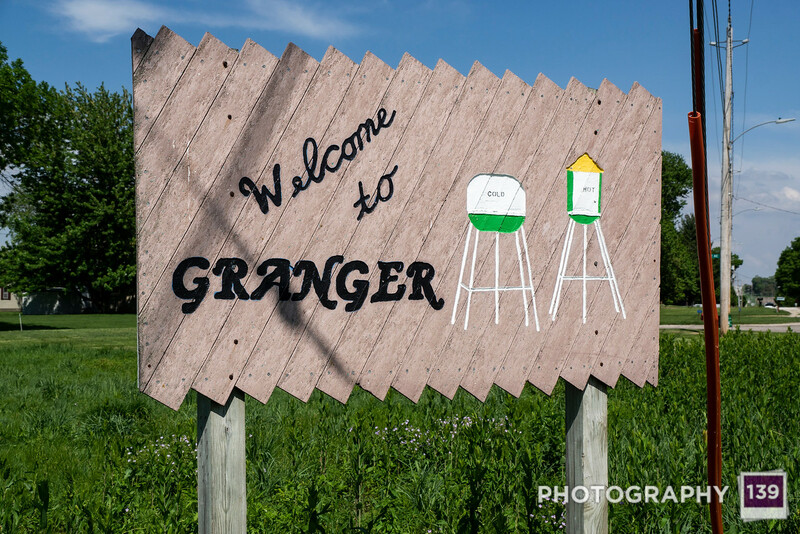 Granger is known for having a hot water water tower and a cold water water tower. I didn’t just love it because of a “any port in the storm” situation, but there is some truth in that. 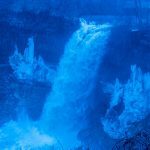 It is just cool looking. 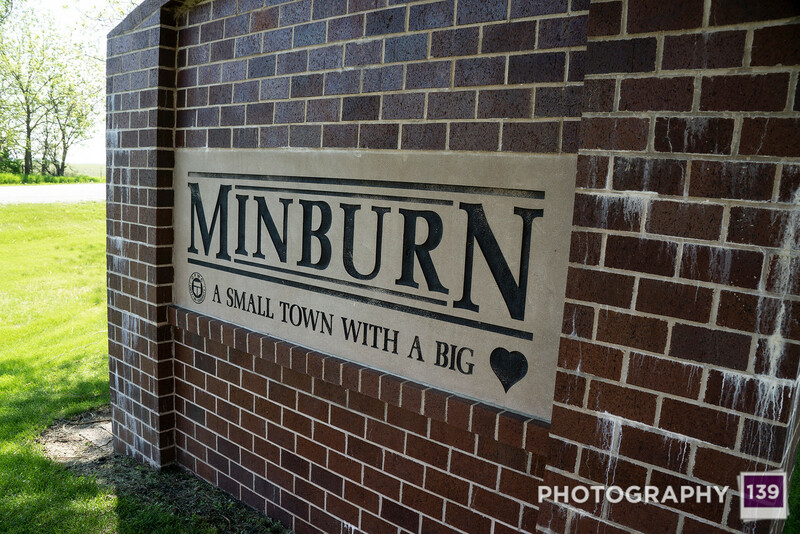 However, I also want to call attention to a peculiar aspect of the Minburn town sign. 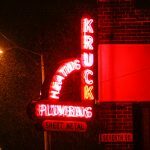 Remember the town sign? 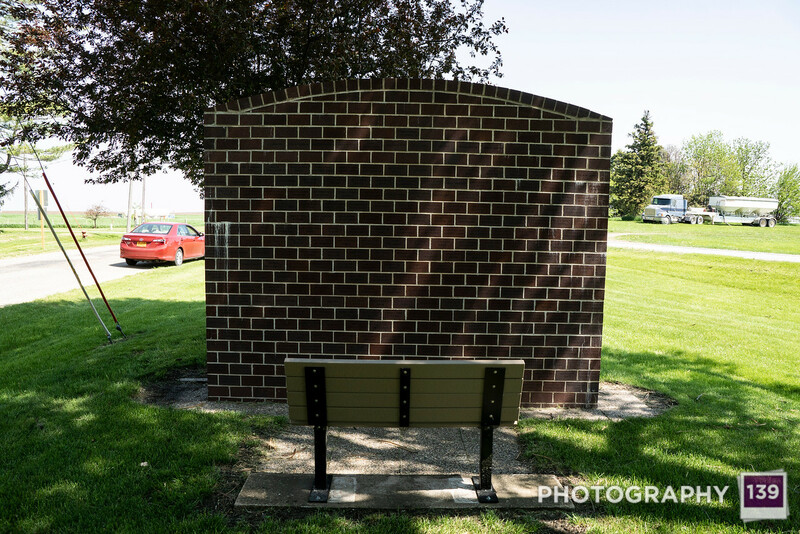 I would love to know the story behind the Minburn bench with a view of a brick wall. If anybody knows, let me know! 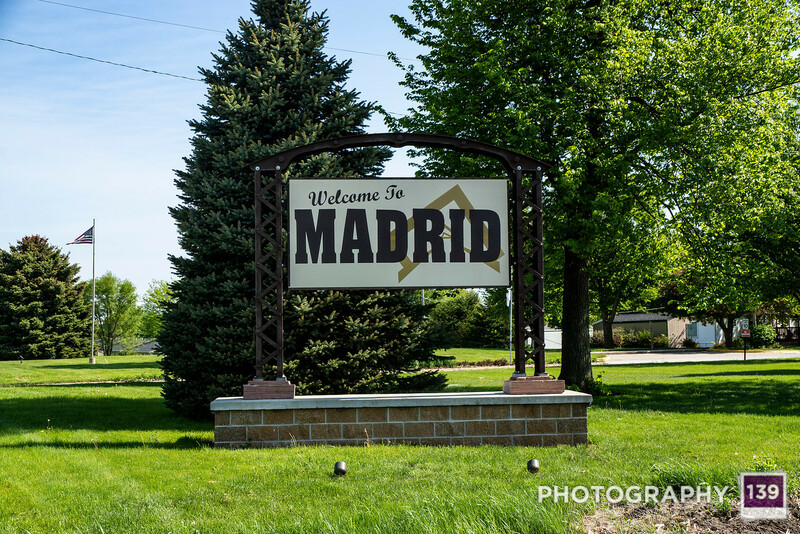 I’m not sure when I’ll get a chance to work on THE TOWN SIGN PROJECT again, but I’m hoping to go snooping up around the Rolf, Iowa area in the nearish future next. The results of my tenderloining adventure will be published soon. 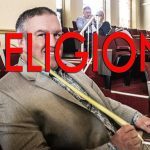 I know a few of you have been waiting on my official ruling. Made me laugh after reading about Minburn town sign. That IS a pretty sweet park bathroom. Almost an outhouse, even! 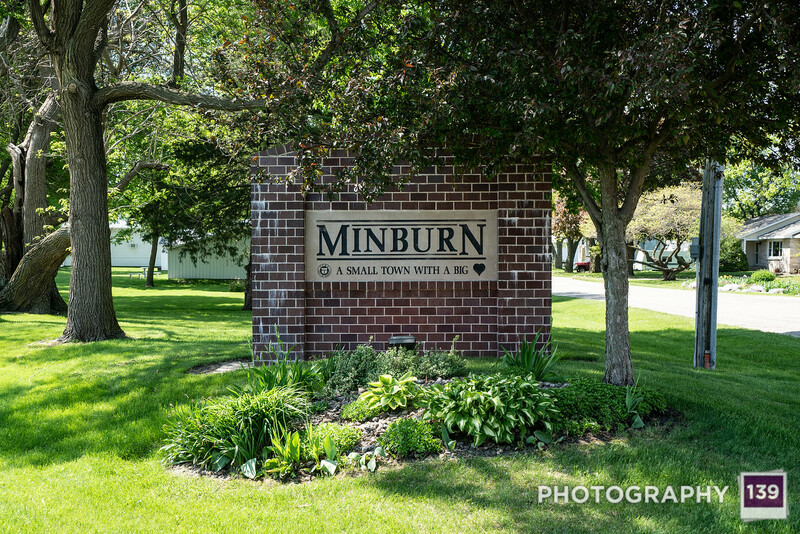 I find humor that Minburn’s official sign involves a heart emoji. That bench is fascinating! 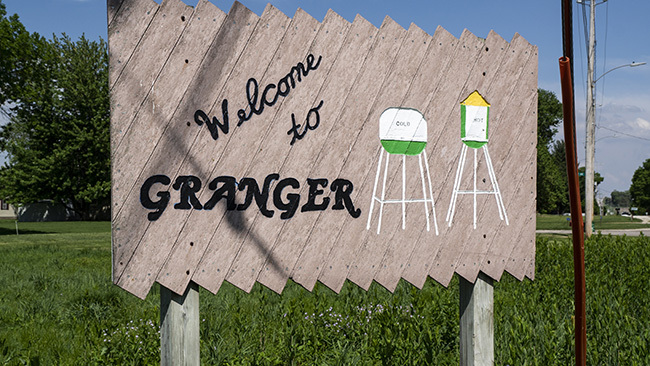 Granger’s is my favorite sign. Minburn and McCallsburg have eerily similar slogans. When I first saw the bathroom, I thought it was an outhouse. I was excited. but it has running water inside. I have a lead on a 2 door outhouse, but I have yet to get to it. Soon. Granger has the best sign by far. 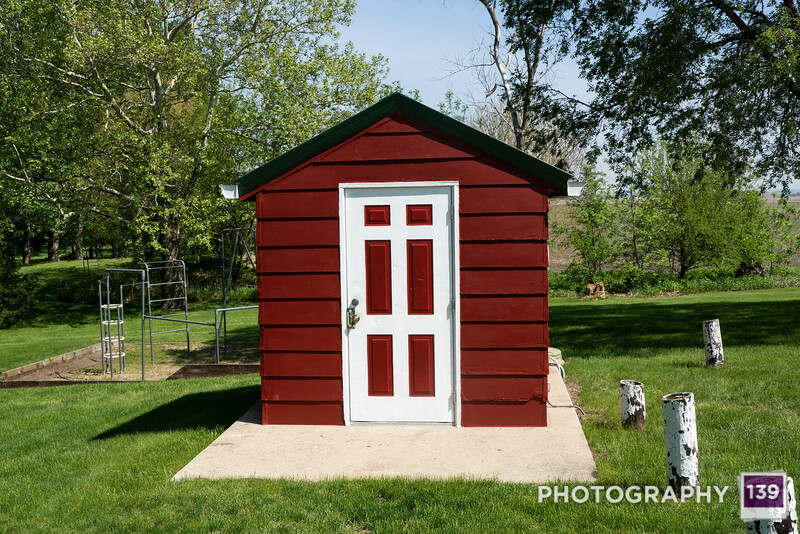 Can it be an outhouse outlier?